Located in the heart of Times Square, this famous eatery shares the bustle and flash of its surroundings. Diners of all ages chatter and dine among famous Hollywood and Broadway memorabilia in an energetic and exciting atmosphere. Serving lunch and dinner, and appealing to all taste levels, this is an experience that will add to a New York City visit. 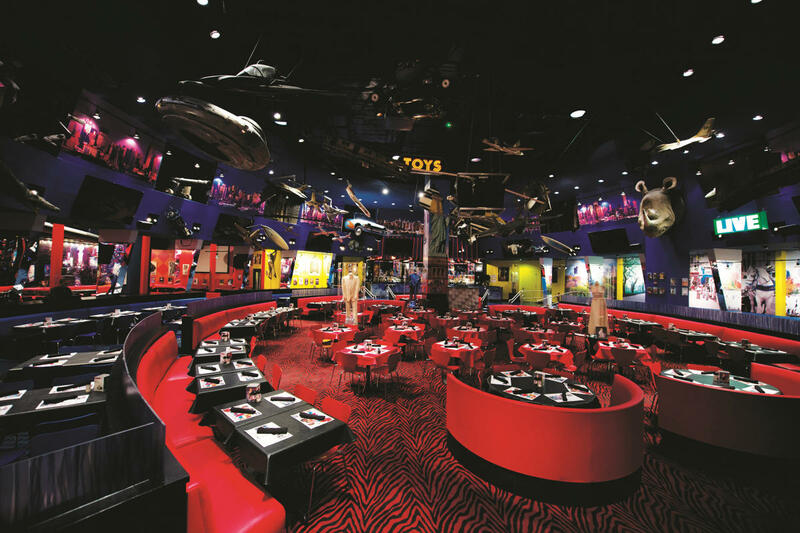 Planet Hollywood offers VIP treatment for all FIT and travel industry groups. with a variety of group menus for all budgets and tastes. Their event space can accommodate groups from 20 to 800.